بین سال های 1904 و1908 امپراتوری آلمان درمستعمرۀ آفریقائی خود نامیبیا به نسل کشی دست زد. بیش از 80 درصدجمعیّت نامیبیاازبین رفتند. طبقات حاکمه اروپاو آمریکا اینگونه ثروتمندشدند. 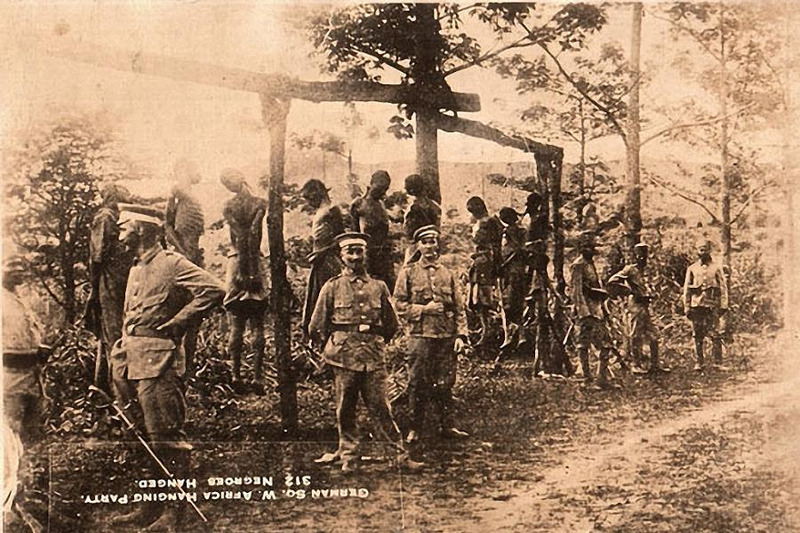 The Herero and Nama genocide was a campaign of racial extermination and collective punishment that the German Empire undertook in German South West Africa (now Namibia) against the Ovaherero and the Nama. It is considered the first genocide of the 20th century. It took place between 1904 and 1908.